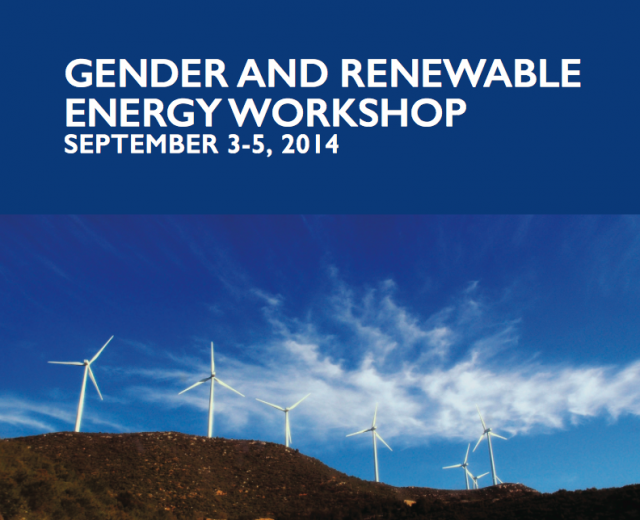 USAID and IUCN organized a Gender and Renewable Energy Workshop on September 3-5, 2014. The event convened 44 experts on diverse topics under the umbrella of gender, large-scale renewable energy, and climate change mitigation. The workshop was geared toward building new knowledge and guidance on gender considerations in low emissions development planning and the renewable energy sector beyond the household level.